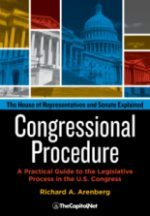 A proposal of a member of Congress to alter the language, provisions or stipulations in a bill, resolution, motion, treaty or in another amendment. 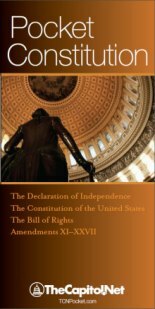 An amendment is usually printed, debated and voted upon in the same manner as a bill. Committees do not actually amend measures during markup; instead, a committee votes on what amendments it wishes to recommend to its parent chamber. If a committee reports a measure with amendments, the parent chamber will ordinarily have to act on the amendments. 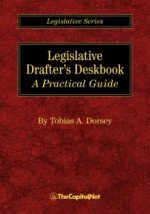 How a panel conducts the amendment process in markup generally reflects procedures used in the chamber, possibly as modified by individual committee rules. Amendments offered in House committee markups are considered under the five-minute rule; that is, any member may speak for up to five minutes. Additional time can be given by unanimous consent. 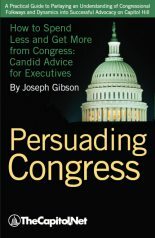 “Bigger Bite” Amendment: Although an amendment cannot amend previously amended language under House rules, a “bigger bite” amendment can be offered because it changes more of the measure or amendment than the original amendment. An amendment may not amend text that has already been amended. In some circumstances, however, a bigger bite can be taken from the measure or amendment. A bigger-bite amendment substantively changes the unamended parts of the provision in which the previously amended language appears and is in order. Amendments offered in Senate committee markups are generally not subject to debate limitations. Therefore, it is possible for opponents to filibuster an amendment. There is no Senate procedure for invoking cloture in a committee markup; however, several Senate committees have adopted committee rules to bring extended debate to an end. An amendment may be agreed to or rejected by a voice, division, or roll-call vote. 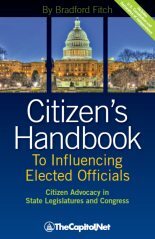 House committees may not use proxy voting; Senate committees may if a committee’s rules authorize proxy voting. Senate: A proposal to alter the text of a pending bill or other measure by striking out some of it, by inserting new language, or both. Before an amendment becomes part of the measure, the Senate must agree to it. Once a bill or resolution is before the Senate, it is subject to the amendatory process, both by the committee reporting it and by individual Senators offering amendments from the floor. A committee amendment reported as a total substitute (striking all after the enacting clause and inserting new language for the entire bill) for the pending measure is always voted on last, inasmuch as once a total substitute is agreed to, further amendments are precluded. With this exception, however, committee amendments take priority and are considered in order as they appear in the printed copy of the measure before the Senate. The only amendments from the floor in order during the consideration of these committee amendments are amendments to the committee amendments or sometimes to the part of the bill the committee amendments would affect. Once the committee amendments have been disposed of, however, any Senator may propose amendments to any part of the bill not already amended, and while an amendment is pending, an amendment to the amendment is in order. By precedent, an amendment to an amendment to an amendment, being an amendment in the third degree, is not in order. However, the first amendment in the nature of a substitute for a bill, whether reported by a committee or offered by an individual Senator, is considered an original question and is amendable in two more degrees. There are certain special procedures in the Senate which limit the amendatory process. For example, during the consideration of general appropriation bills, amendments are subject to the strictures of Rule XVI under which it is not in order to offer non-germane amendments or amendments proposing new or general legislation or increasing the amount of an appropriation if that increase has not been previously authorized or estimated for in the President’s budget. Likewise, when operating under a general unanimous consent agreement in the usual form on a bill or resolution, amendments must be germane. 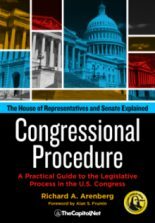 Germaneness of amendments is also required once the Senate has invoked cloture; in addition, any amendments considered under cloture must have been submitted in writing before the Senate’s vote on cloture.